Try to see what I see... Look at the sky. It's not dark and black and without character. The black is in fact deep blue. And over there! Lights are blue. And blue in through the blueness, and the blackness, the winds swirling through the air. And then shining. Burning, bursting through! The stars, can you see how they roll their light? Everywhere we look, complex magic of nature blazes before our eyes. Yes, I've named a cocktail in honor of one of my favorite Doctor Who episodes. If you're an artist, if you grasp the beauty and wonder of the world in a way that others don't quite seem to understand, if you're one of the many that works hard and excels at your craft but still can't live well from it, you will appreciate Van Gogh's appearance in this episode. If you're a geek (or British), well, it's Doctor Who. For everyone else: watch it anyway. It's fun, and you'll gain a new appreciation for Van Gogh and the creative people in your life. 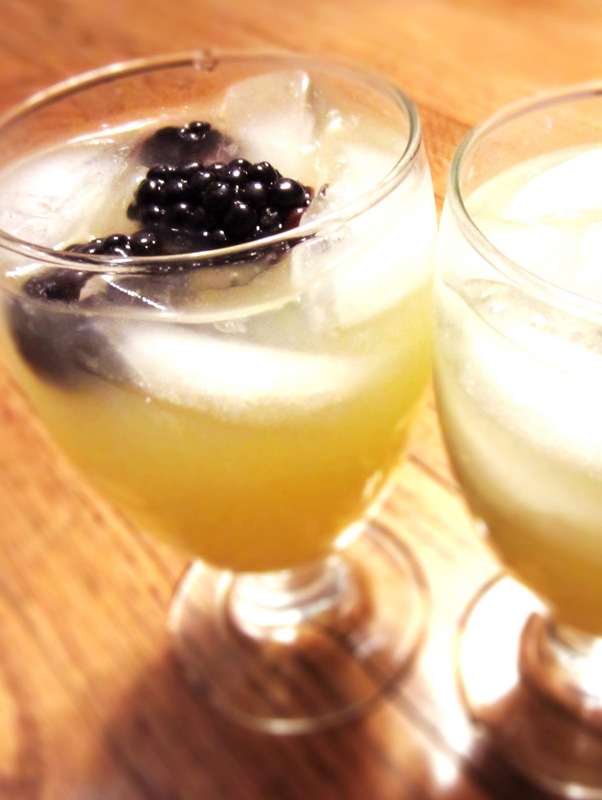 Combine ABSOLUT, orange juice, lime juice, and simple syrup in a rocks glass. 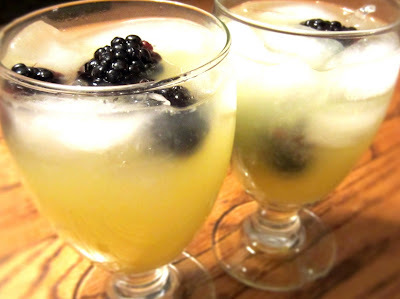 Pack with ice and garnish with blackberries. Tip: Maximize the amount of juice you can get from citrus by starting with fruit at room temperature. Roll the fruit around a few times on a hard surface with heavy pressure before cutting and squeezing.